The shocking murder of island resident Alfredo Cowo on Tuesday, January 16th has his family and close acquaintances questioning if San Pedro police officers were involved. Cowo had stated just one week prior that he feared for his life due to threats coming from the San Pedro Police Department. He made his statement after officers Norman Coye and Darnell Madrill’s case was dismissed, and Cowo indicated that he would be pursuing legal advice to re-open the case. The said officers had been on trial for the charges of Wounding after firing indiscriminately into a crowd by the Central Park in early 2017. Five persons were injured, including Cowo. The officers were subsequently placed on interdiction and were on trial for months at the San Pedro Magistrate Court until the case was dismissed on Tuesday, January 9th due to ‘Wanting of Prosecution.’ Cowo sought to appeal the case and shared with the media that he believed his life was in danger, pointing out that he had been told that island police had ordered a hit on him. Exactly one week after his bold statement he was executed near Central Park, while he and his pregnant girlfriend were sitting on a golf cart. Cowo was mortally wounded in the chest area and succumbed to his injuries while being transported to Belize City for further medical treatment. Police on the island initially declined any interviews regarding the fatal shooting, but at 1:30PM of that same day, Officer in Charge of the Executive Coastal Unit, Henry Jemmott offered a short press briefing. He stated that the investigation was still very young and that no motive had been established. Jemmott also confirmed that no suspects have been apprehended, but the investigation continues. 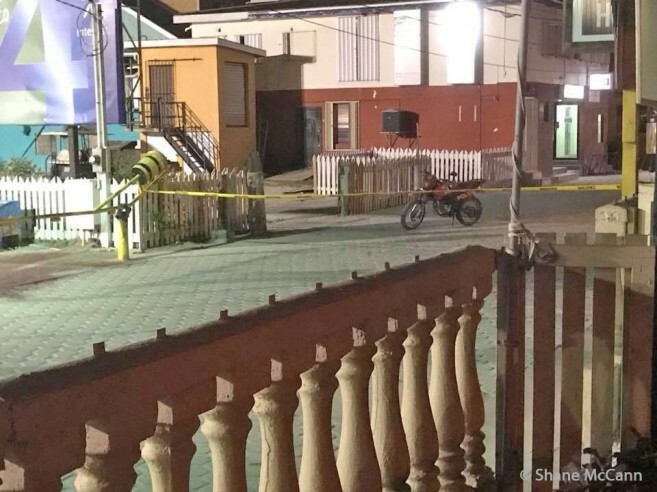 According to the official police report around 12:40AM on Tuesday, January 16th, police visited the emergency section at the Dr. Otto Rodriguez San Pedro Polyclinic II. 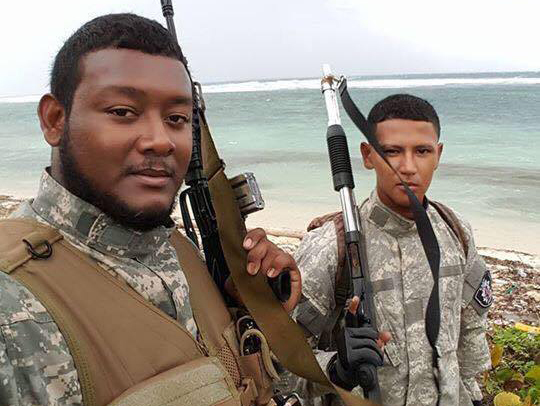 There, they observed Cowo, a Belizean fisherman of the San Pedrito Area, suffering from apparent gunshot wounds to the right side of the chest. Initial investigation states that Cowo was socializing near Central Park by an establishment when a male person came and apparently fired several gunshots in his direction causing the said injuries. He was transported to the Polyclinic and later airlifted to the Karl Heusner Memorial Hospital where he succumbed to his injuries. Cowo was apparently sitting on a parked golf cart in the company of his girlfriend Paola Reyes, who reportedly drove him to the Polyclinic after being shot. Reyes said that she and Cowo were waiting for a video to load on Facebook when all of a sudden they heard a gunshot. “He grabbed his head and looked behind,” Reyes told the media. “They then shot him again.” Reyes showed reporters that the second shot hit Cowo in his upper body. “He ran underneath the golf cart as he did not want them to hurt him anymore,” Reyes continued. “I jumped on top of him screaming for them to not hurt him and then the shooter ran away.” Reyes indicated that she could not identify the gunman and that there were two other persons waiting for the assailant when he fled the scene. The family of the deceased suspects that the police are involved in the fatal shooting of their relative and are now in fear for their safety. “It was like they had a hit out for him,” said George Cowo, brother of the deceased. “It’s like they had all that set for him, it was a personal thing.” Cowo’s sister, Anna Arjelia added that members of the Quick Response Team at the San Pedro Police Station, to which Coye and Mardrill are attached, told them that they were not going to stop until Cowo in a box. Cowo was the only victim from last year’s shooting that was pressing on the case for justice. In the Coye and Madrill shooting incident Cowo received injuries to his foot from bullet fragments. 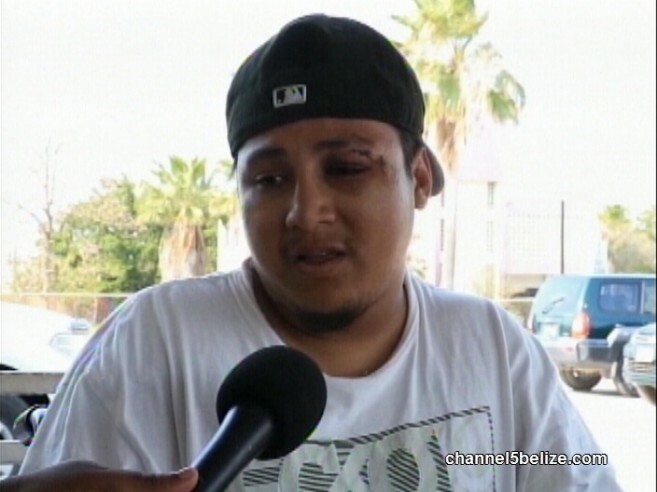 He sought medical assistance in Belize City for his injuries, but never withdrew his charges against the officers. A week before he was murdered, Cowo visited The San Pedro Sun office and shared his frustration at the outcome of the case. He stated that the verdict was unfair and he was going to seek legal advice to re-open the case and have Coye and Madrill re-arrested. He also mentioned that he was in fear of his life as he had been informed by close friends that police officers of the San Pedro branch were preparing a hit on him. He stated that he had no enemies and that if something ever happened to him, the police should be held liable. 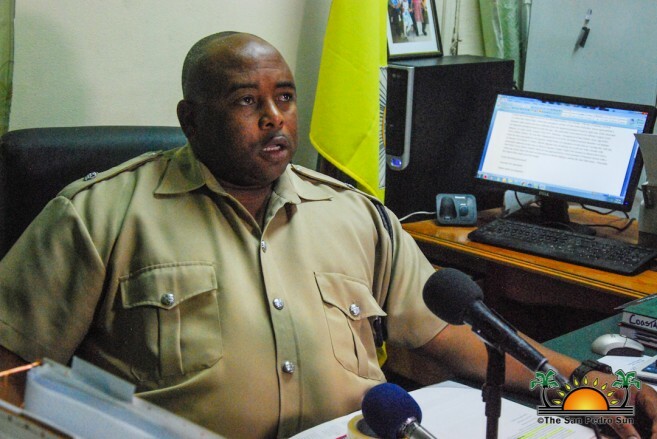 During the police press briefing, Jemmott indicated that after reviewing some of the surveillance around the area, they noticed the shooter, who had a warm cap, stalking Cowo before the attack. However, he denied the allegations that any of his officers were involved in the fatal incident. “So far we have not uncovered anything, the matter is under investigation and is too early to make any assumptions at this time,” said Jemmott. He noted that at times people might lose hope in the Police Department, but he encourages the community to trust them as they are working with additional staff from the mainland to solve this homicide as soon as possible. He indicated that if the investigation reveals any wrongdoing by members of his branch, they will be dealt with according to the law. “I will not tolerate such thing, and as you can see in the past, I make sure that any officer who commits any crime is charged and arrested for their offenses,” ended Jemmott. As the family prepares for the funeral, Cowo’s American foster parent, Debra Randell has pledged to retain legal counsel to re-open the case against the accused officers. Via a phone call on Wednesday, January 17th, Randell told The San Pedro Sun that she had known Cowo since he was nine years old. She stated that she assisted in raising him and Cowo would babysit her son at that time. “The family and I very much want the very same justice for Alfredo,” she said. “The police department needs a thorough investigation and that so-called commander needs to be fired!” Randell lashed out at the accused police officers, pointing out that no person, cops especially, should be permitted to ever carry a firearm once they are seen on live camera, waving it around and shooting innocent people. Randell was referring to the social media video featuring Coye shooting at the crowd. “They had one of their nasty filthy corrupt buddies postponing, postponing and postponing and then a no show to prosecute them. He too [Jemmott] should be charged with corruption and sanctioned, not allowed to practice law ever again,” an infuriated Randell told The Sun. Cowo’s family remembers him as a good person, dedicated father, and hardworking fisherman. Many of his friends on the island attest that he had no known enemies and will always remember him as a good team-mate during the annual pool tournaments held in San Pedro. The head of the Professional Standards Branch, Assistant Commissioner of Police, Chester Williams weighed in on the nature of how the initial case against Coye and Madrill was tossed out. Williams commented on the allegations that the case was dismissed after repeated absences from the prosecution. “If the prosecutor was aware of the court date and failed to appear without any reasonable cause, then providing he is a police prosecutor, he can be dealt with disciplinarily,” said Williams. “Likewise, if it was a matter where the police witnesses were summoned and again without reasonable excuse, they failed to appear. They likewise can be disciplined.” He assured that this particular case will be looked into by his office to ascertain the true reason behind its dismissal. Cowo was no stranger to police. On April 12, 2013, he and his brother were involved in a stabbing incident that left 17-year-old Jason Chan in a critical condition. According to an official report, Chan was in front of an establishment at the corner of Barrier Reef Drive and Pelican Street, when he and another friend got into an altercation with the Cowo brothers. It is believed that during the altercation, Cowo and his brother inflicted the injuries on Chan. About seven months later in October of the same year, Cowo was involved in an armed robbery and charged with possession of an unlicensed firearm, ammunition, and robbery. The official report stated on October 23, 2013, 19-year-old Nelson Rhaburn a maintenance worker was assisting a friend to his house on Pescador Drive when he was approached by two male persons. One of them (Cowo) was armed with a handgun, which he placed in Rhaburn’s mouth, while the other person robbed him of his Camel bag valued at $250BZ, a wallet valued at $65US containing $250 in cash. The report continued stating that Cowo and his companion attempted to take his Deltex brand tennis shoe, and upon his refusal, a struggle ensued. A short while later, police arrived on the scene and detained Cowo. Police recovered one Pistol .32 caliber with serial number D1 Star Brand made in Spain and a magazine loaded with three live rounds with one in the chamber. As the investigation continues, the San Pedro Police Department is urging the public to assist in solving this case as the police are working hard to capture the responsible culprit. They asked the many eyewitnesses that saw what happened to come forward and assist the police with valuable information in order to apprehend Cowo’s assailant. The San Pedro Police Station can be visited on Pescador Drive or reached via phone at 206-2022. Reports can also be made by calling Crime Stoppers Belize at 0-800-922-8477 for anonymity.